Market Leader : News :: Oil Prices At $79/b, Russian Ruble Still Weak. Why? Oil Prices At $79/b, Russian Ruble Still Weak. Why? 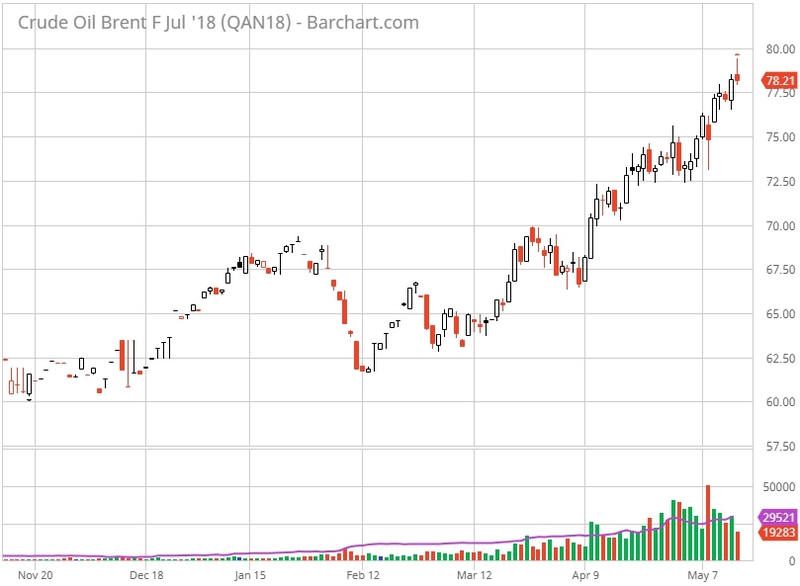 On Tuesday, May 15th, Brent oil reached $79/b. 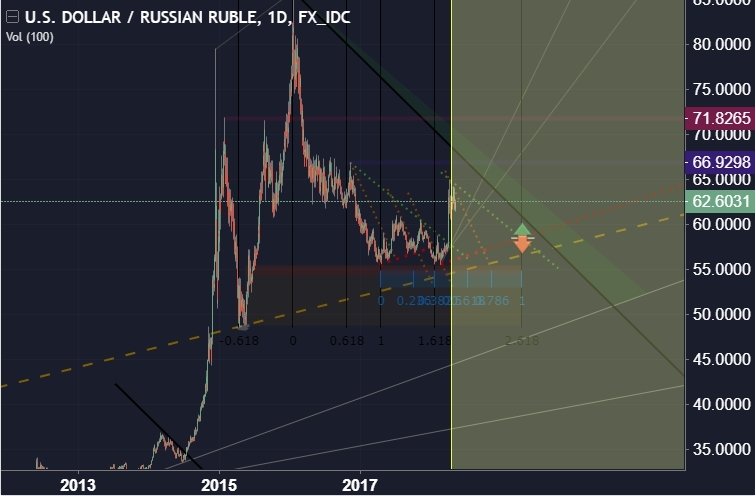 Strange as it may seem, the Russian Ruble hasn’t reacted to this so far, even though this always has been a positive sign for Russia’s national economy and currency heavily reliant on crude oil prices. Moreover, the currency has been going slightly down for a while despite being backed by higher oil prices. The ICE Brent futures for July delivery exceeded $79/b. this is the first time since November 2014 that oil prices have gone that high. However, back then, this was a bearish cycle. During the period of September 2014 through January 2015, it dropped from $100/b all the way down to $50/b. In the meantime, the Russian Ruble has been going down for a while. Earlier today, the U.S. Dollar got a bit stronger against the Russian Ruble – 62,13 RUB per 1 USD. Yet, this is not something extraordinary. Crude oil has been setting new local highs for a couple of weeks. The Russian Ruble has been indifferent to these positive changes in the global market of crude oil, which seems strange. It’s interesting to note that over the last 12 months, crude oil has gone up in value by 80%. Still, the Russian Ruble has been around 60 RUB/USD. By the way, back in 2014, when a barrel of Brent oil cost roughly the same as today, the exchange rate used to be at 45 RUB/USD, which means the Rubble used to be much stronger than it’s today. According to Finanz, the Russian national currency has been deliberately devalued by the Russian Ministry of Finance. This means that today’s Russian currency depends on the MinFin’s currency manipulations rather than oil prices. The government has been heavily buying all the foreign currency profits from selling crude oil above $40/b. The total inflow of foreign currency from oil exports increased by $16,7bn in Q1 2018 as opposed to Q1 2017. The MinFin has taken 80% of it. Simply put, this a controlled devaluation of the Russian Ruble. Those funds are used to prevent the Russian currency from getting stronger. As a result, the Russian budget gets an unseen surplus (there was no such surplus even when crude oil cost 100 dollars per barrel), Finam experts say. That’s why Grand Capital experts assume that the Russian Rubble won’t strengthen a lot (the exchange rate won’t go below $58/b) even if oil prices remain at $80/b for a long time.